Want to enjoy the festive season with a good conscience, knowing that you have a plan to start the New Year running? As the days grow shorter and the nights longer, it is easy to feel a little drained during the party season so full of rich food and mulled drinks. To run, jog or hop the streets and marshes of East London with us at the Run Hackney half Marathon in May 2016. 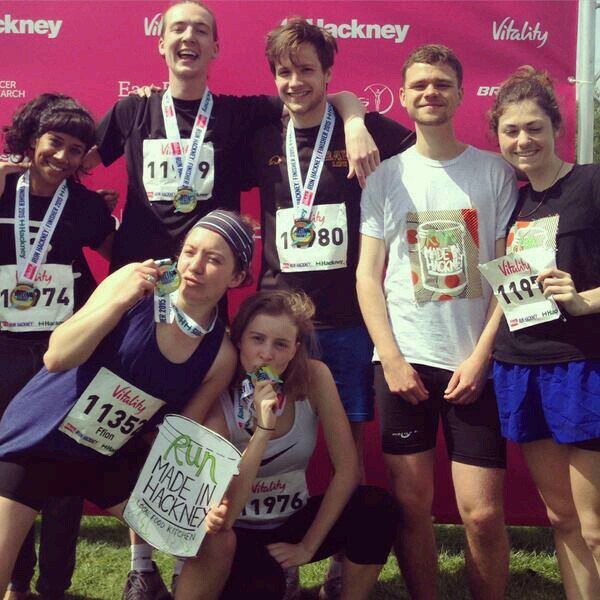 We have 6 hot slots left to fill in our Made in Hackney Running Team- what a perfect fitness resolution for the new year! Together we will be raising important funds to keep delivering our vital food and cookery programmes for low income families and also grow our courses to reach other London boroughs. You will be running for a healthier community where sustainable seasonal, plant based and locally grown food is available for everyone. We will arrange fun training runs together perhaps in combination with some plant foraging in the Spring, get-togethers and a motivational team dinner in our Hackney eco kitchen. All runners will be supported and inspired all the way from training up until the final run!